The Constitution, along with the miracle of our nation’s founding and the providential history of America fighting and winning war after war against oppressive regimes, proves our manifest destiny not only to preserve our borders and safety and national character at home, but to spread around the world our love of individual freedom and insist on its reflection in every government. Were you to play “Patriotic Bingo” in which each space had a patriotic buzzword, his opening salvo within the article would be more than sufficient to win at Patriotic Bingo. Look at the words used: sacred, miracle, liberty, providence, manifest destiny, and – of course – freedom. In other words, the United States was created specifically by God to complete his purpose to bring about liberty and justice to the world. All of this sounds nice, but of course it’s not, and it’s quite dangerous and heretical. For the Constitution to be a sacred document it would need to be on par with the Bible, or something from an Ecumenical Council, or in some way holy. Yet, it’s none of the above. It was not divinely inspired by God, otherwise it couldn’t be amended. Could you imagine Christians attempting to add amendments to the Bible, specifically amendments that contradicted previous teachings? And how is our nation’s creation a miracle? We defeated a massive military force (with major help from the French) who struggled to send messages back to the homeland and struggled to get an adequate army out to us. That’s not a miracle, it’s logistics. An American jihad would make every tax dollar a tithing and the squandering of those dollars a sin. An American jihad would make every hour spent working in an American company — or founding one — an offering. An American jihad would make every teacher of American history not only a public servant, but a servant of the Truth. Ablow, as with too many evangelicals and others, conflate Christianity with the nation. Sadly, for Christians this isn’t a problem localized to the evangelical populace within America. One can look at Russia and see how many Russian Orthodox use their beliefs as an excuse for nationalism. The same stands true for Orthodox in Greece or Catholics in Italy. The true oddity in such a “jihad” is that while a Christian nationalist must place his religion within the realm of the nation, the radical Muslim must place his nation within the realm of his religion. For the Christians are distinguished from other men neither by country, nor language, nor the customs which they observe. For they neither inhabit cities of their own, nor employ a peculiar form of speech, nor lead a life which is marked out by any singularity . . . They dwell in their own countries, but simply as sojourners. As citizens, they share in all things with others, and yet endure all things as if foreigners. Every foreign land is to them as their native country, and every land of their birth as a land of strangers . . . They pass their days on earth, but they are citizens of heaven. 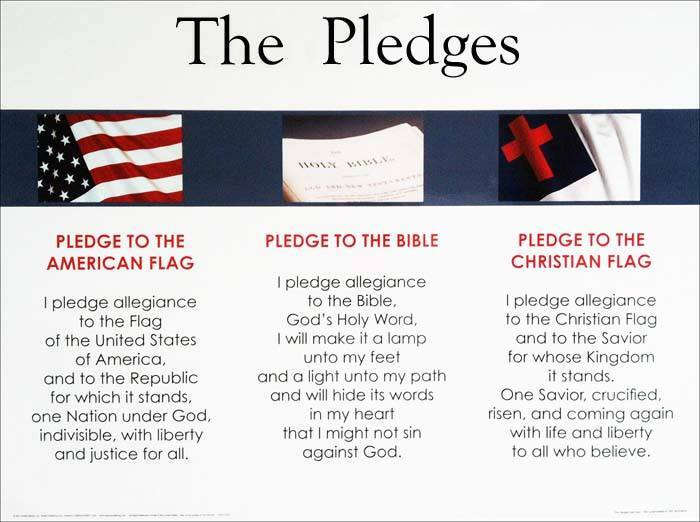 From early on in Christianity there was no idea of having a “Christian nation.” The view was that while here we would be responsible citizens, but if called to leave the nation then we would do so. Our loyalty to any nation extends no further than necessary, and certainly not to the point that we’d dictate a nation ought to be viewed as sacred, holy, or on par with God. When we fall into the trap of Christian Nationalism, no matter our nation, it blinds us to those of other nations. It causes us to ignore that God loves them as well. Thus, when Ablow says that we’ll have to put boots on the ground in order to enforce our Constitution on foreign lands, it places us as superior to those who might also follow Christ, and who are certainly made in God’s image by fact of existing. Nationalism is always a heresy because it supplants God with the nation, making God subjected to the nation itself. The Gospel is no longer a matter of communion with God, but of falling within and defending the right borders. Salvation comes not as a free act nor through God’s mercy, but through the patriotic acts towards one’s nation. Christian nationalism ignores that God loves other nations too and doesn’t call them to the right form of government, doesn’t call them to the right laws, but calls the people to himself. There were many nations before the United States, there are many nations now, and there will be many nations long after we collapse, but all will hold a common theme; in them all, God will call out to the people within to follow him.